Fon is a an arcobaleno that holds the Red/Storm pacifier. He is a martial arts master, as well as I-pin's master. He is so strong that he's been champion of the top martial artists tournament in China for 3 years in a row. Early in the series, his first appearance was in infant-form acting as a merchant in episode 11. There was not much character development until episode 143, where he showed up for the beginning of the Arcobaleno's Trials. His sidekick/companion is a pet monkey. 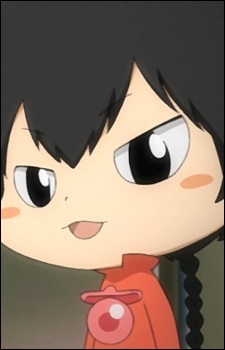 Fon has an appearance much similar to Hibari Kyouya.